In 2012 I undertook my first visit to Botswana, borrowing a car from Junior, my little sister, and her hubby who live near Windhoek, Namibia. 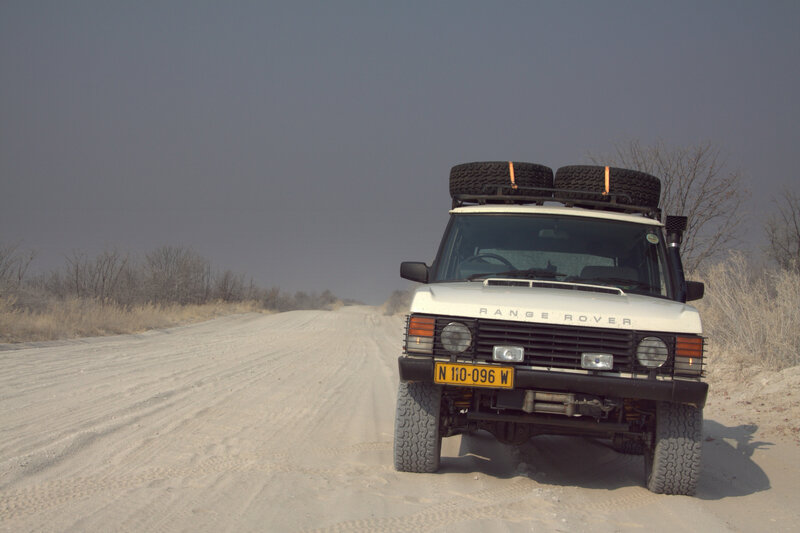 This proved to be “godsend” for our Botswana trip as we got a Range Rover, diesel, high suspension and snorkel. All components that “saved the day” when we were in the Okavango Swamps. The trip from Windhoek to Maun is about 800 km (a long day at reasonable speed), with Southgate, Moremi Game Reserve, another 150 km down the road. The biggest surprise was the number of cows, donkies, goats and even ostriches on the road. 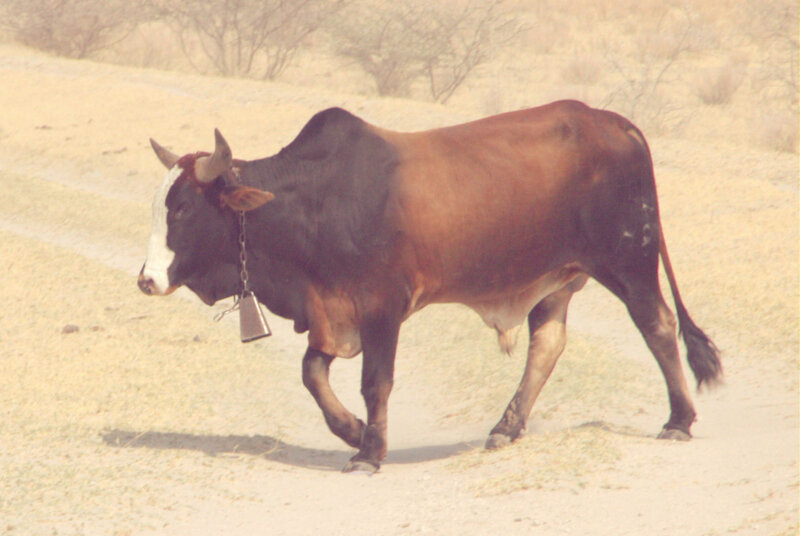 My favourite was “ballas burger” (see picture above); a bull near Rakops, on the way from Maun to the Central Kalahari. Another curiosity was seeing vendors selling fresh fish along the road. This was the middle of the Kalahari, was it not? What I did not realise until later was that there were “outshoots” of the Okavango Swamps only a few kilometres away. The first night was spent in Maun and then to South Gate, Moremi Game Reserve, Okavango Swamps the next morning on a mostly (hard) sand road. The campsite was next to the entrance and the sight of toilets/showers… relief… the thought of “long drops” had crossed my mind. The lack of fences at the camp site, though known, was a bit disconcerting as other game reserves, e.g. Etosha Pan, have fully fenced overnight camps. It was only mid-morning, thus plenty of time to “hit the road”. It was soon apparent why only 4-wheel drive cars are allowed into the game reserve; there was a deep sand track, with the actually swamp not too far away. Proper training in off-road driving is a must and one can get good advice from previous visitors through the 4×4 community blog (http://4x4community.co.za/forum/); furthermore, I would advise at least two or more cars, this place is not for the faint-hearted. At the first sight of water (the swamps?) 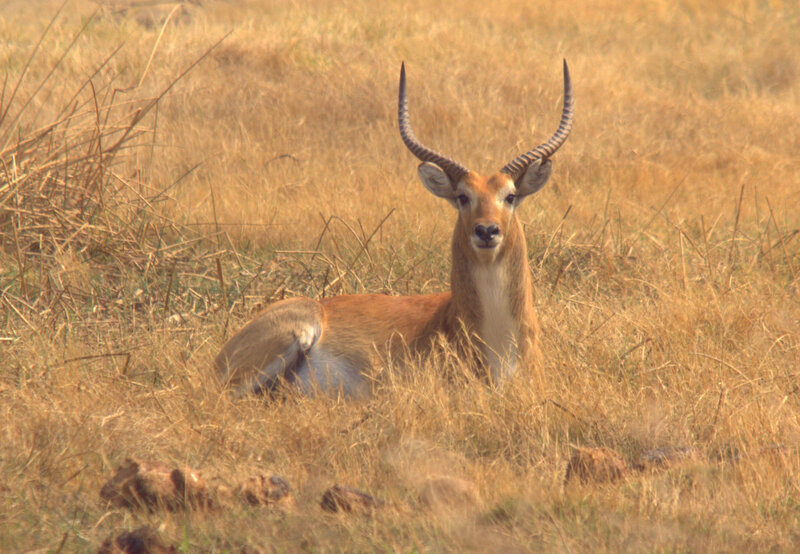 the first first lechwe was spotted, what a graceful antelope, and the look there… look there… look there…. started, then… about 5 meters away was a male lion serenely having a siesta, apparently not interested in a juicy elbow sticking out of the window. He looked up, yawned, and went back to sleep. 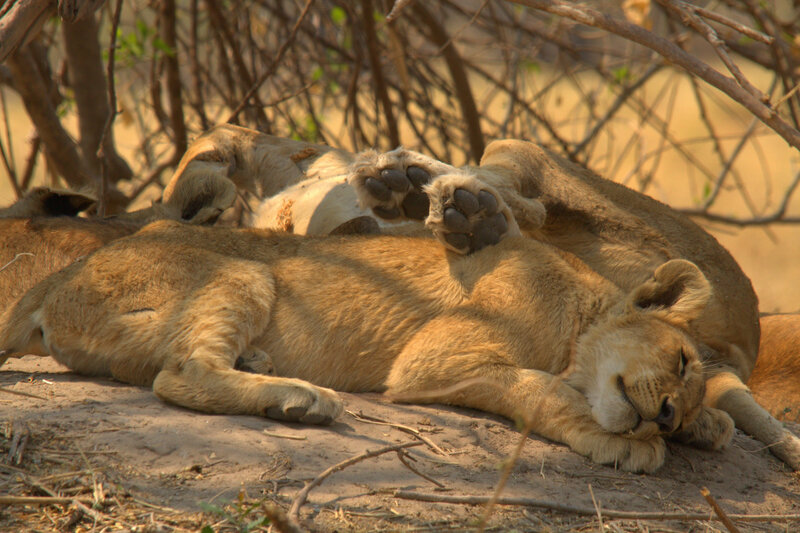 A few kilometres further along a friendly Dutch family gave us the GPS coordinates of a pride of lions. Always ask, people usually share their sightings (also check the Visitors book at gates). 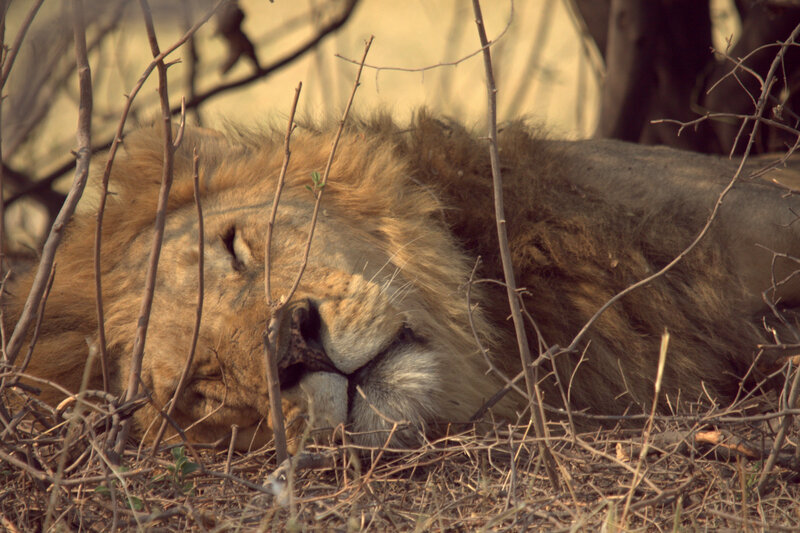 The lions were lying under a tree with heads, paws and bodies all over the place. A good lunch, me thinks. The array of wildlife was immense and we were still to see impala, kudu, zebra, red hartebeest, water buffalo, zebra, giraffe, monitor lizard, crocodile, hippo, elephants. a honey badger and a variety of birds including pied kingfisher and later a fish eagle catching its meal. In Botswana, the wild life is often not “conditioned” to humans or cars and we had a few scary encounters with elephants that did not appreciate our presence, necessitating a rapid retreat in one or two cases. Soiled pants kind-of scenarios… more of that next time.